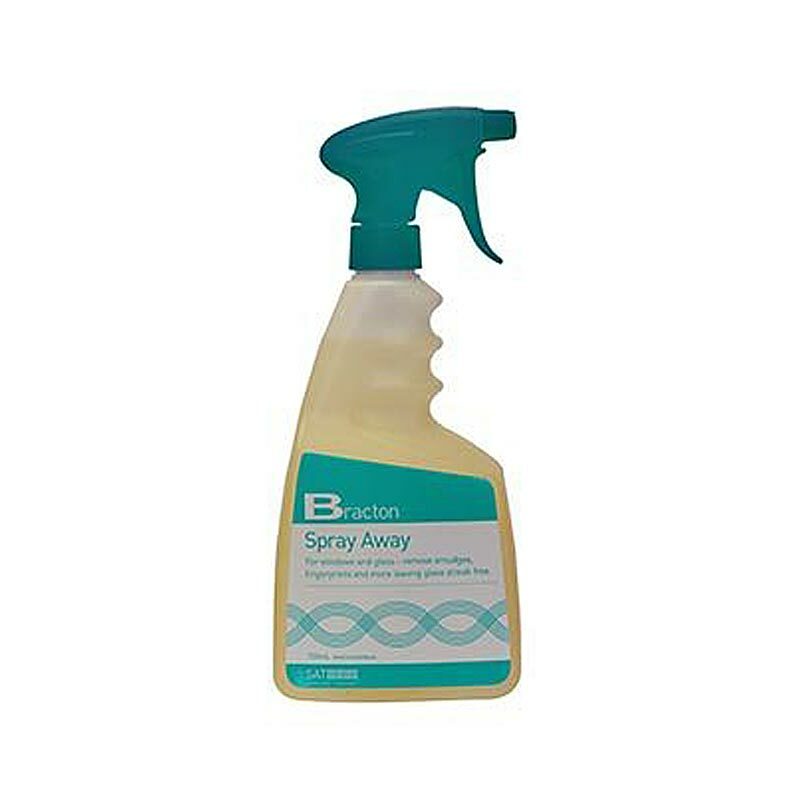 Bracton Spray Away removes dirt, grease, grime, mould & mould spores. It removes bar fly breeding areas. It can be sprayed or used in a mop & bucket. It has no odour and is pleasant to use! Non Hazardous & Non Toxic – Safe for you and patrons! Biodegradable – Safe for the environment!. Replaces over 20 commonly used cleaners. The 3.6m Telescopic Extension Pole is a lightweight aluminium three section pole with locking sleeve for added strength. Perfect for high reach window cleaning, dusting and wall washing. The Oates 35cm Window Prewasher has a microfibre pad that traps and removes any built-up grime. For a longer reach, use with the Oates Telescopic Extension Pole. The 35cm Dura-Flex Rubber is of premium quality, ensuring a clean, streak free finish. The 1.8m Telescopic Extension Pole is a lightweight aluminium two section pole with locking sleeve for added strength. Perfect for high reach window cleaning, dusting and wall washing. The 35cm Microfibre Sleeve is made from premium microfibre for superior cleaning power and high water retention. The machine washable pad is lint free and also incudes a scrubbing pad for extra cleaning power.